In an ideal world, you plan your cleaning sessions and you always find time to complete them and get your home in a presentable state. In the real world, that is hardly ever the case. It is likely that you postpone cleaning till the very last moment when you need to rush it just before your guests arrive or just before you leave your house to deal with the never ending list of chores. In order to tackle the always present home cleaning chores, you need to be prepared to face the challenges it presents. There are certain strategies and methods you can incorporate in your routine to help you clean really quickly. Implement any or all of them and you will be able to deal with this job in a more effective manner. Keep your supplies in one place – addressing cleaning tasks requires a number of cleaning solutions and products. You will be wasting quite a lot of time if you need to look for them in all corners of your home. To make things easier for you, it is best to keep everything in a bucket or a cleaning tote. Dedicate a storage place for it and keep it there till you need it. That way, whenever you need to utilise any cleaning solutions, you will know exactly where to find them and not waste any time. Get an extension cord for your vacuum cleaner – you know when you are vacuuming your carpets and rugs and you have to constantly plug it in another room. This increases the time it takes to complete the job. In order to eliminate the wasted time, you can extend the cord of your vacuum, essentially allowing yourself the opportunity to finish vacuuming the entire house in one go. Establish a cleaning pattern – if you have a practiced routine in place for all your cleaning needs, you will be able to complete chores much quicker. Not only will you know what needs doing when, but also be able to fit in other tasks in between chores, as you become more familiar with the work. Once there is a system in place, you will be able to do some speedy cleaning on autopilot. Don’t let clutter take over – one of the reasons why cleaning is always so difficult is because there is clutter all over the place. If you want to be able to finish your chores quickly, don’t let clutter linger too long in the room. That way you will tackle any cleaning chore with ease. Remove distractions – obviously cleaning is not going to be very effective if you stop every 5 minutes to check your phone or change a TV channel. Whenever you need to clean your home, it is best to remove all distractions so that you can focus and get the job done quickly. That way you will deal with cleaning fast and then have time for everything else. Call for help – obviously, even if you take steps to quick cleaning, there is only so much you can do on your own. Whenever possible, you should call for help, be it your family and friends, or even a cleaning company Dealing with all the chores in your home doesn’t have to be a one person mission. Clean how you want to – whenever cleaning your home, make sure the routine best fits your preferences and abilities. 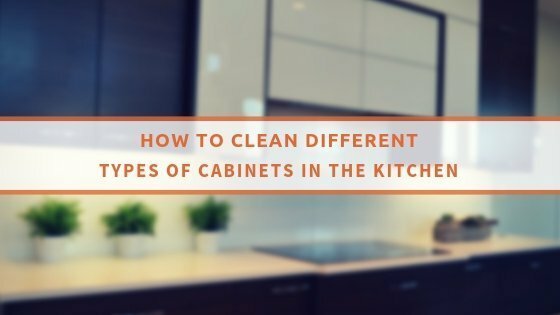 Don’t struggle with cleaning methods that you cannot utilise on your own and techniques that you do not quite understand. Instead, focus on what works for you and you will find that cleaning can be done quicker and it doesn’t look as scary as you think. By implementing all of these cleaning methods you can substantially reduce the time it takes you to clean. Granted you don’t sacrifice quality for speed, it is nice to check out how you can clean more swiftly, as you will have time for other activities.